It’s taken me more than a decade of rootling about the utter vastness of the Karoo to snuffle out these wonderful drinking spots. Right, so are we packed and ready then? Let’s start up in the Eastern Cape, right here in my home town of Cradock. Then we’ll move on to the Northern Cape and Western Cape. 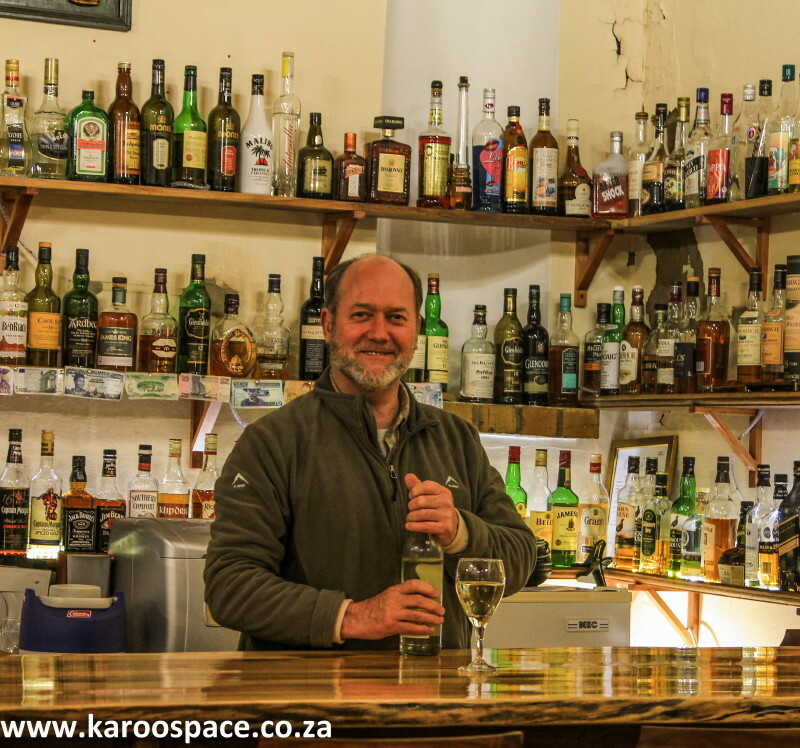 Overlanders heading for Christmas coastal spots in December and water athletes taking on The Fish River Canoe Marathon in October know this beloved little pub in Cradock well. More precisely, they know Amos Nteta, the smiling face of the Vic Manor. 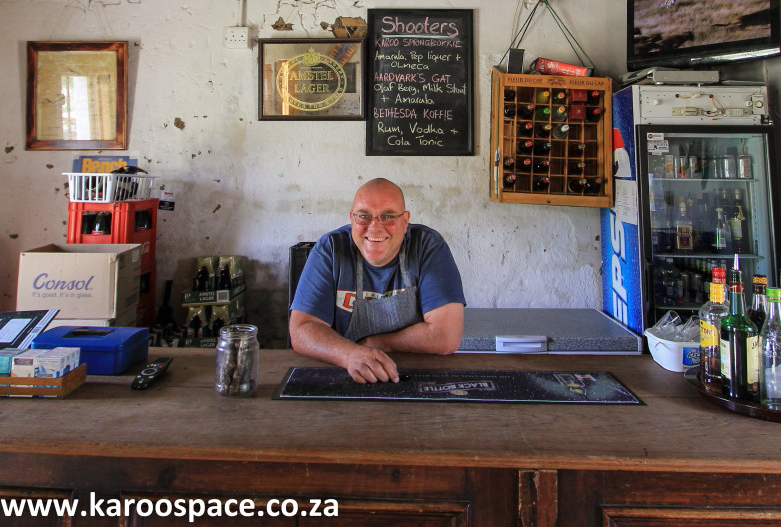 Once you’ve lunched at The Karoo Lamb, make your way to this quaint little pub behind the restaurant (and just down from the famous Owl House) and have a beer with owner Ian Allemann. This experience begins with a ploughman’s platter for lunch and has been known to extend well into the afternoon. 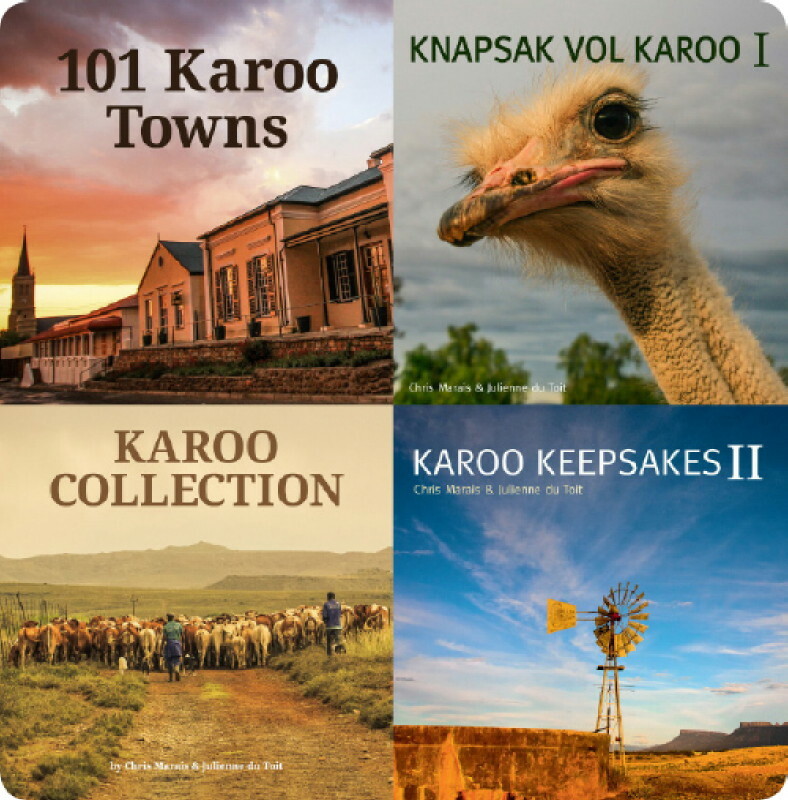 The setting is “Karoo complete” with goats and windmills. The food is simple and delicious and the range of natural ales is legendary. 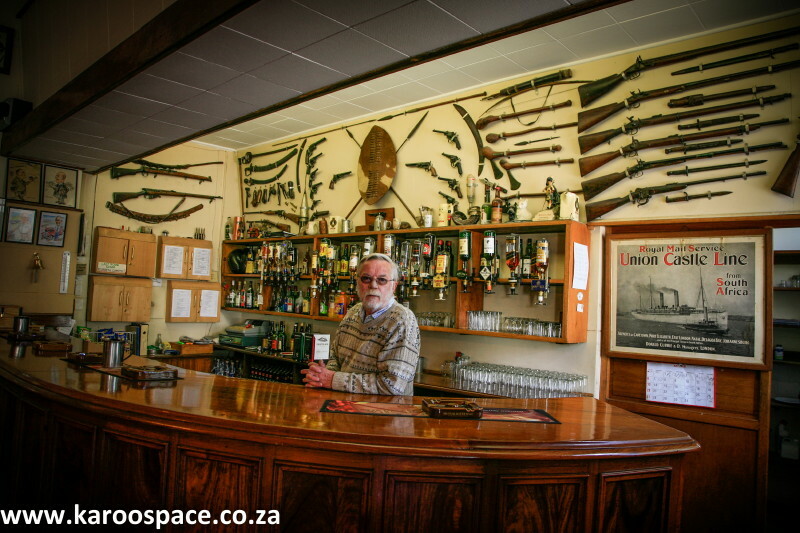 Home to Graaff-Reinetters and the British Coldstream Guards (their pub of choice in the Anglo-Boer War), the former men’s-only club has been going since 1875. 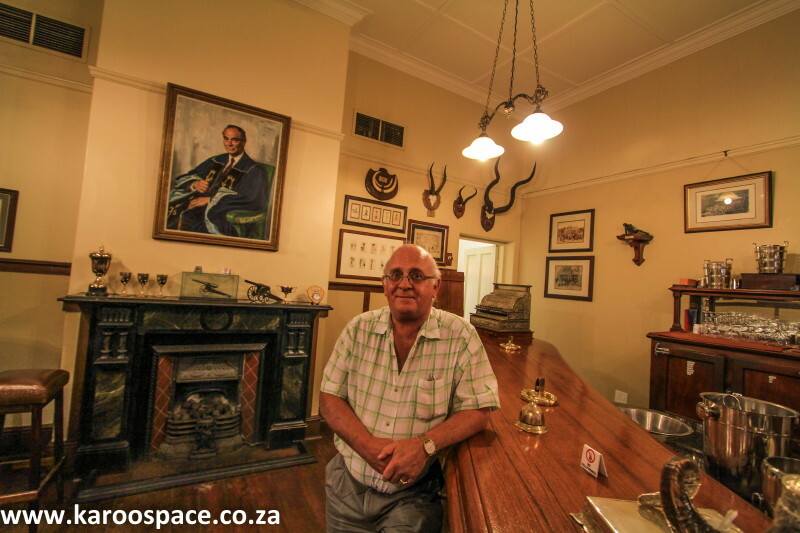 There are bullet holes in the counter and old hunting trophies and cartoon caricatures on the walls. If you’re a fan of historic old signs, you’re probably going to spend far too much time in this Willowmore pub. The owner, Pepi van der Merwe, has collected Apartheid-era signs, lots of “petroliana” and locomotive emblems. The revamped Wolwefontein Hotel. Image by Marius Herselman. Wolwefontein is a little railway siding in the Eastern Cape, at the crossroads of the R329 to Steytlerville and the R75 between Jansenville and Port Elizabeth. The hotel (and bar) used to be a favoured haunt with the smouse (travelling salesmen) of yore. This pub has an English feel to it and you can take your meals inside, right near the TV if there’s a game on. But for a better lunchtime view when the weather is good, try the outside deck. When you stay over at the Angler & Antelope in Somerset East, you can go trout fishing with the owner and get to brag about your catch that evening in a pub that used to be part of a Roman Catholic church. 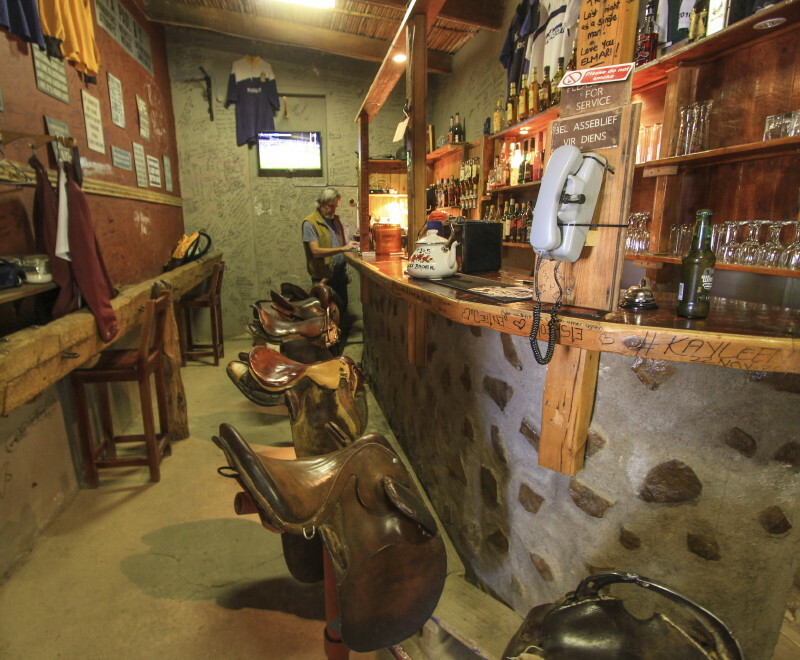 Die Krip in Richmond, Northern Cape – a horsey kind of bar. 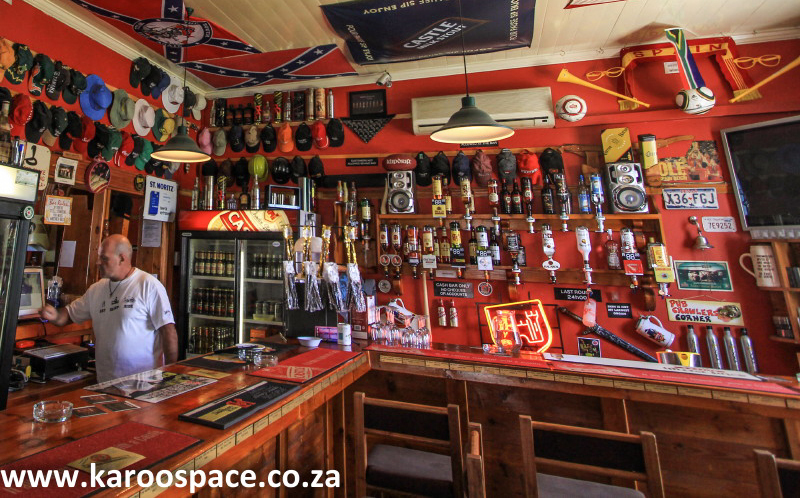 Owned by one Saag Visagie, this colourful pub in Richmond, Northern Cape, sports a row of saddle-barstools in keeping with the fact that you’re deep in Karoo Stud (horses, of course) Country. 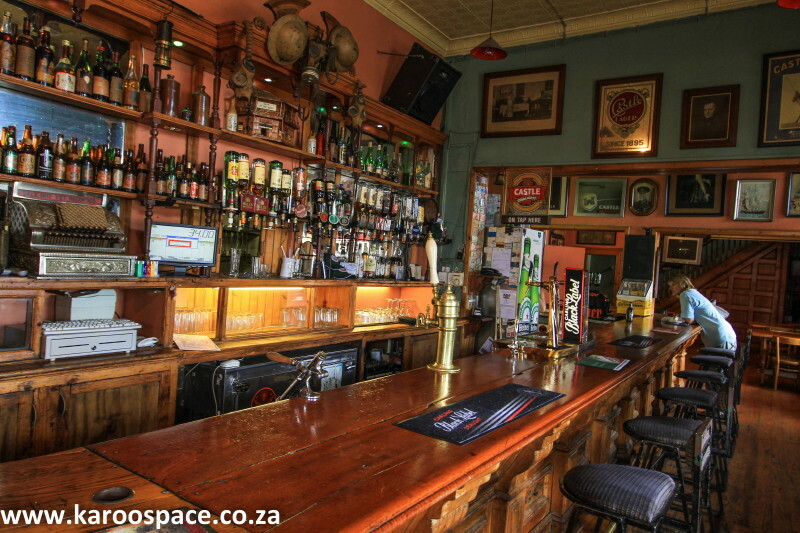 This ornate drinking spot in Kimberley is a replica of the original Occidental Bar in the Old Town next to The Big oHole. The restored complex is a great visitor experience – and a bar lunch at The Occidental is a recommended element of your visit. The Star of the West was a ship that ran aground off the West Coast, and large sections of its timbers were reconstituted here as the bar counter. 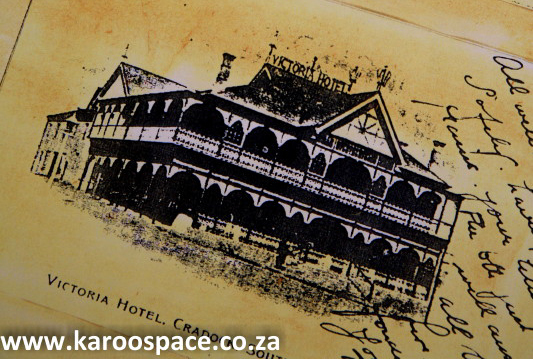 “The Star”, launched in 1870, is one of Kimberley’s many top historical watering holes. Another historic Kimberley pub, “The Half” was made famous by Cecil John Rhodes who used to stop here for a drink during visits from mine to mine. According to legend, Rhodes used to drink while mounted. As such, it remains the only licensed “drive-in bar” in the world. This old club – now also a boutique hotel – once sported “more millionaires to the square foot than any other place in the world”, according to legend. An evening at the Kimberley Club will recall the heady old diamond days – and the pub stories are legion. 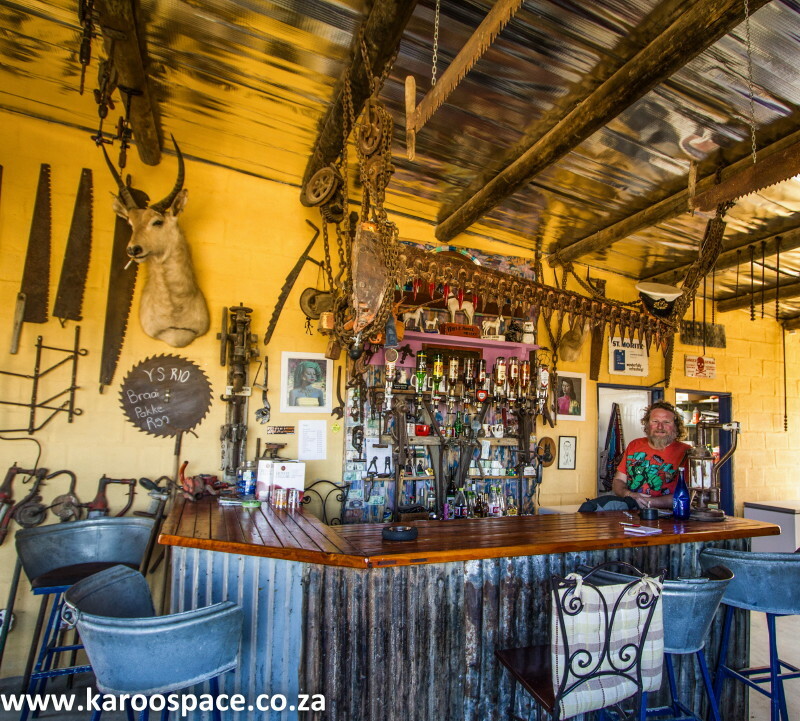 You should stop here for a drink en route to the Magersfontein Battle Site south of Kimberley. 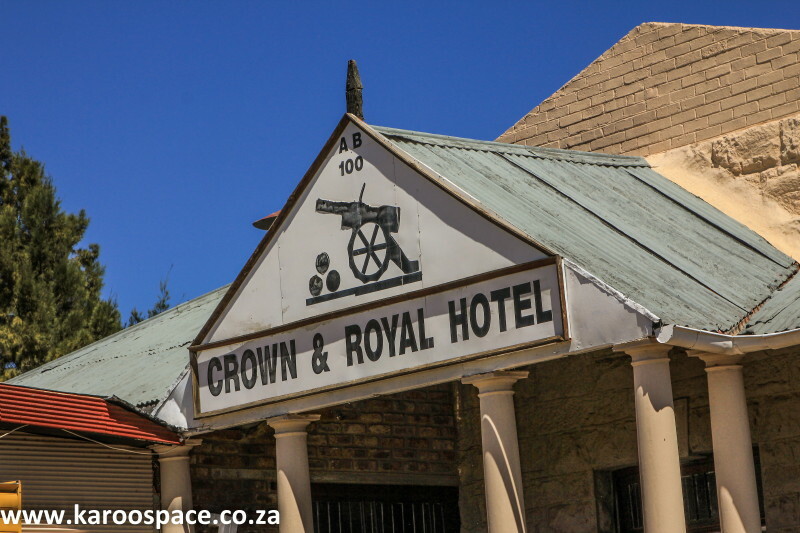 The Crown & Royal, more than 120 years old, was a British HQ during the Anglo-Boer War. Rudyard Kipling himself favoured a libation at this bar. 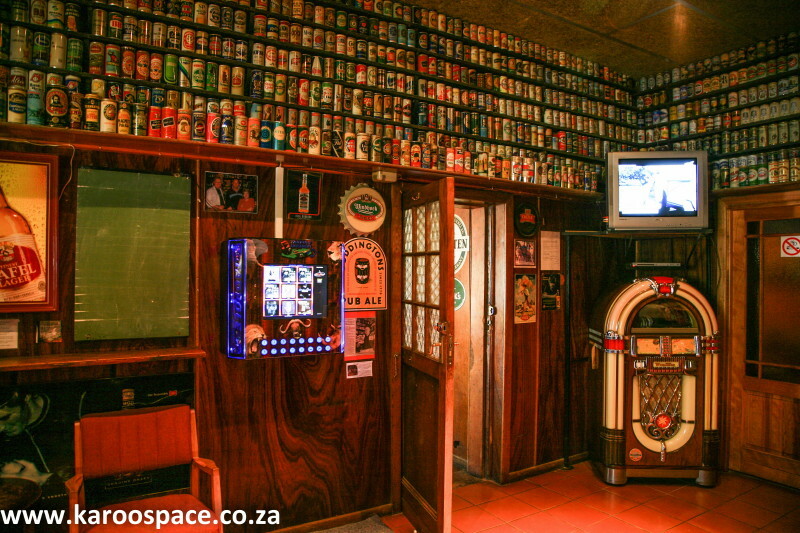 The Blikkies Bar at Carnarvon’s Hotel Blikkies is sports dining facilities, a juke box, a bar and thousands of beer tins on the walls. 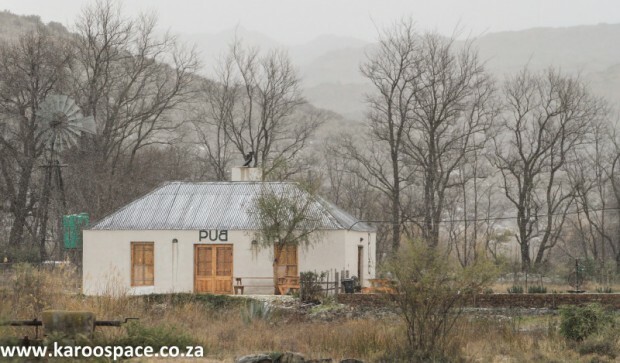 It’s definitely It’s the kind of place you should put on your Karoo Bucket List. 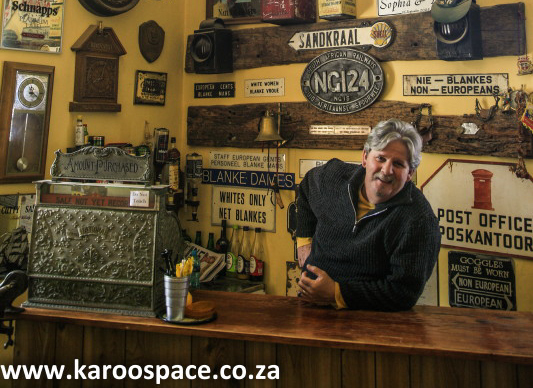 Welcome to the buzziest bar in the Upper Karoo, where owner Pieter Naude will entertain you with tales of his wonderfully eccentric little village. The Williston Mall staff will feed you as well, and afterwards you can go on a tour of the courtyard, where rusted junk has been turned into timeless art with the sense of humour. The sign out front says “Relax, this is Van Zylsrus”. And so you do. OK, so now we’re out of the Karoo and into the Deep Kalahari, but it’s still an important element of your drinking list. 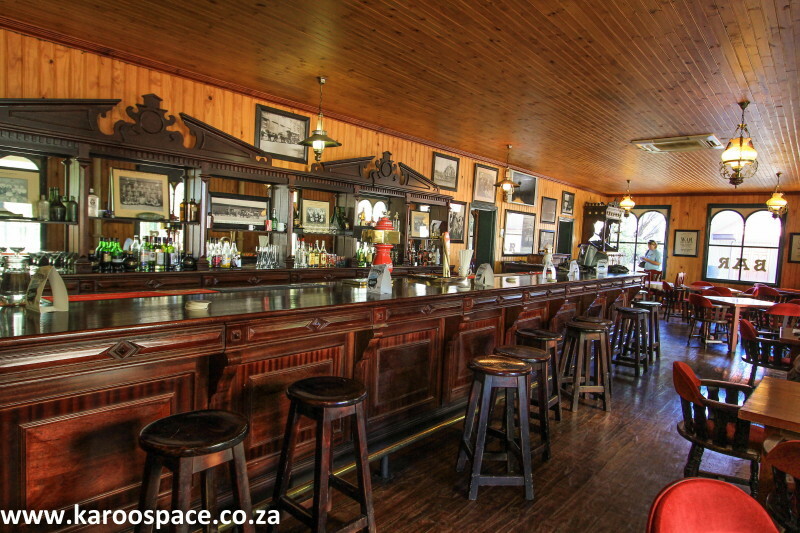 This hotel, with its lovely bar, is a true oasis for travellers heading to and from the Kgalagadi Transfrontier Park. 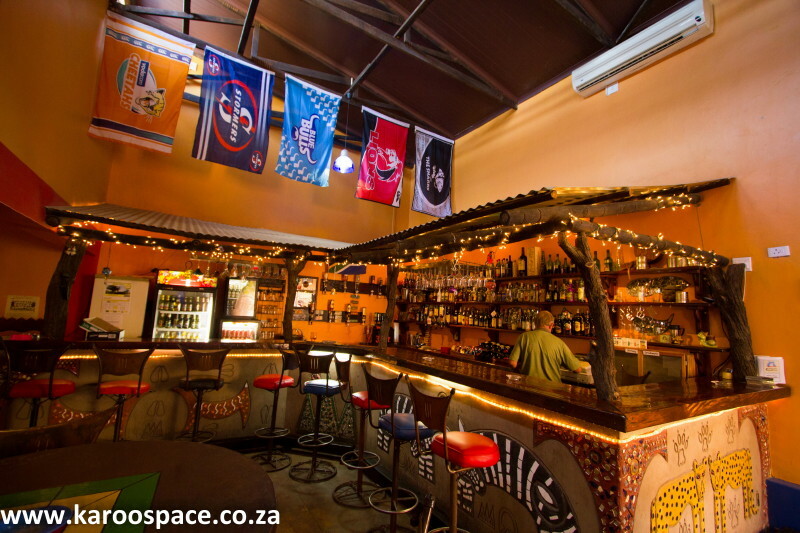 In this crazy pub, there’s a large wooden box appropriately called Pandora and its full of dress-up items – perfect for your Tankwa Pop-Up Party. There is good drumming, compelling music and the best thing of all is your tent is a very short stroll away. 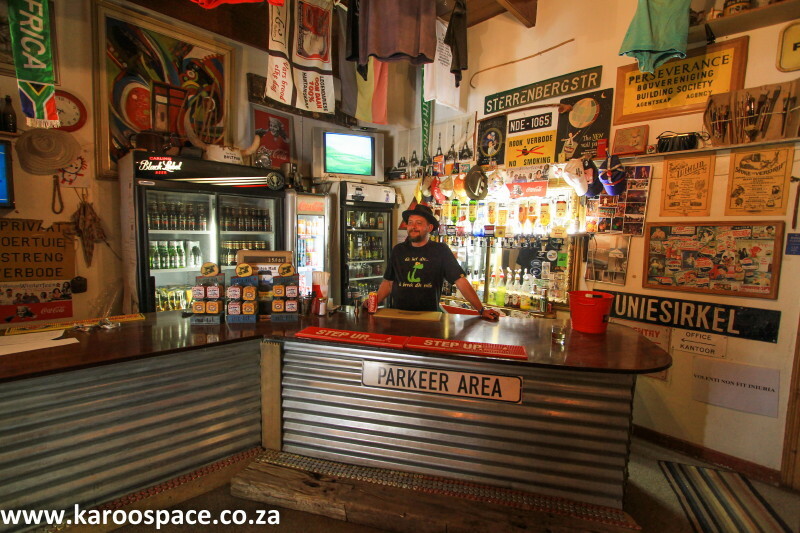 Not far down the pike is another amazing Karoo bar, right next to an equally eccentric padstal. Instead of burglar bars, the Werskwinkel (Workshop) Bar has pitchforks welded together. Bar chairs were once galvanised iron tubs. There is a deconstructed windmill. A waterbuck smoking a cigarette and a Barbie doll on a braai griddle. Perfect for the long distance overlander with an eye for the unusual. Please Note: There is currently no available telephone number for the Tankwa Padstal. 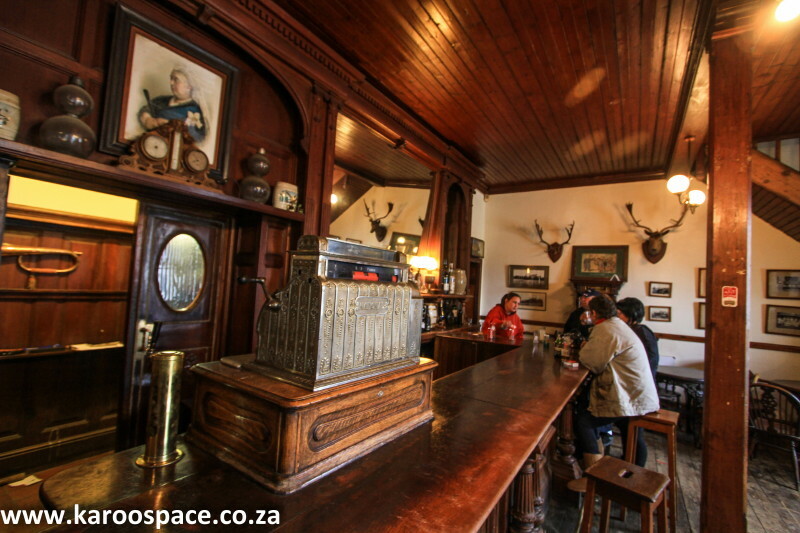 Once you’ve had your quick tour of Matjiesfontein on the red London bus, with one Johnny Theunissen as your guide, pop into the famous Laird’s Arms for a beer and a song. The atmosphere is Victorian, the food is good and there’s even a TV upstairs for the armchair sportsman. 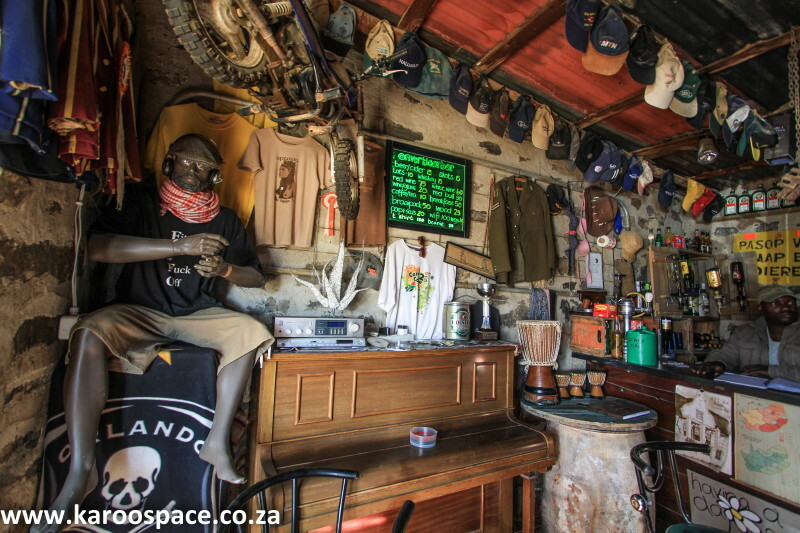 The most famous roadside pub on Route 62 is still going strong, and attracting more overlanders than ever before. It’s well merchandised and fun. 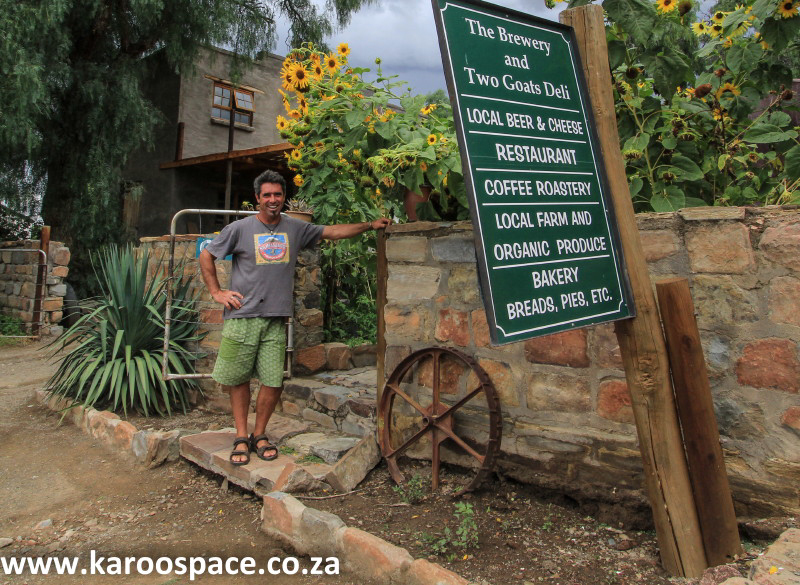 And still worth a place on your Bucket List of Karoo Pubs. Just take it easy – the road is long. 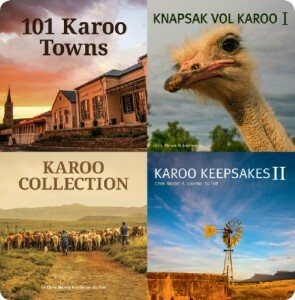 For more Karoo travel insights and attractions, here’s a Fantastic Discount Special from our e-Bookshop. 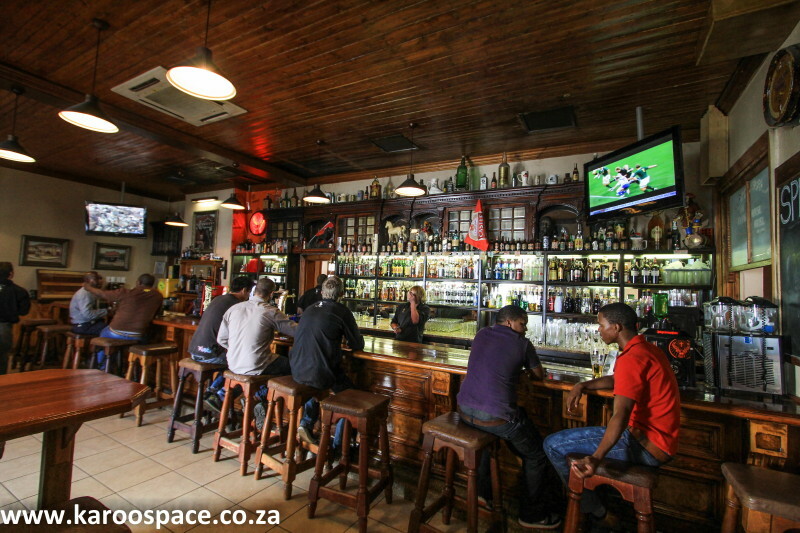 Here’s another bar you simply MUST try: Koedoeskloof Country Lodge. Just outside Ladismith, ideal for visitors, campers, bikers, anyone looking for a chilled atmosphere. You won’t be sorry! I Would love to see it. I am mad about this kind of thing in the Karoo!! Love the first photo. If I had any talent, I’d turn it into a water colour painting. 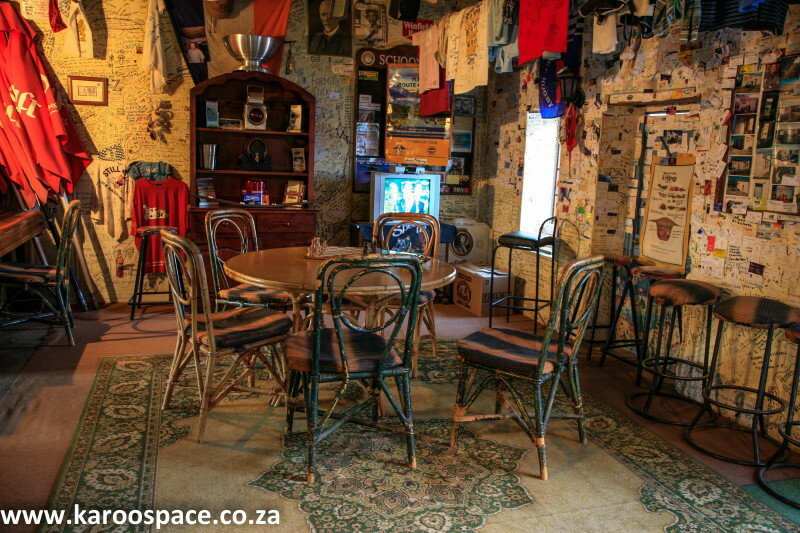 Aaah – and then there is the legendary Anna Jordaan Bar at the Karoo Art Hotel , Barrydale .. I looove this article… great as ever you guys, all are the places one would not like to miss. 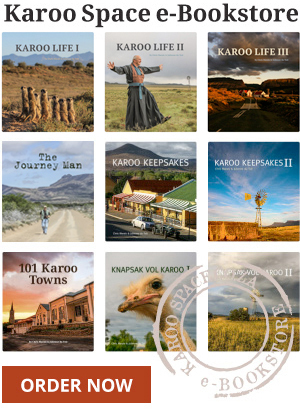 Does anybody know of a touring company that host/arrange a “pub crawl around the karoo” with accom? Just to add to that, email reinethuis@gmail.com. I think Reinet of Nieu Bethesda is planning a kind of multiple-day pub crawl based on that article in the next month or two.